How to lower the noise output from your carwash. 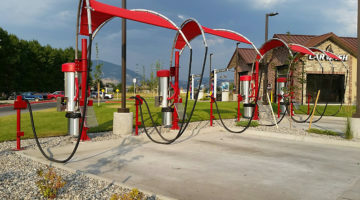 As evidenced by recent reporting in Professional Carwashing & Detailing, more and more, owners and operators are facing obstacles from municipalities and residents about noise pollution — often before a carwash even exists. Those planning to build carwashes around residential areas are especially prone to sitting through city council hearings where concerned citizens voice their fears about noise disruption, and these hearings can draw out an already beleaguered permit application and approval process. On the flip side, there are established carwashes that suddenly find themselves face-to-face with city noise ordinance officials because a neighbor has complained. These carwashes then have to undergo sound testing on-site, and if they don’t pass the tests, the consequences could range from mandatory, new equipment purchases to amending the carwashes’ policy and compliance (P&C) governance. Residents are quick to offer suggestions about how to mitigate noise — from reducing hours of operation to replacing dryer equipment with hand-drying — but they often don’t take into account a wash’s profit margin. With these scenarios in mind, this article looks into why noise reduction is so important for carwashes as well as ways to implement it. Occupational Health and Safety Administration (OSHA) regulations permit only noise exposure levels up to 85 decibels for an eight-hour workday, and carwashes that surpass those noise levels are subject to fines. However, the reality is that local noise ordinances are often far stricter, and you’re more likely to be cited by a municipal official for disturbing the neighbors. Of course, depending on where your carwash is situated — in an urban, suburban or rural area — you may experience less pushback than others. Suburban areas, on the other hand, could have zoning regulations regarding noise pollution, Levy notes. As such, those building a new carwash may have to pacify residential complaints with plans for noise reduction before their permits are even approved. However, rural areas should not be a concern, Levy states. Balancing your right as a business owner to run your carwash optimally and your neighbors’ rights to some peace and quiet is a tough act. Still, even if you’re willing to take your chances with the neighbors, you should not be taking chances with your employees and customers. As such, the consensus among industry experts is to be proactive in reducing noise levels from your property. After all, if you do end up being cited, you will have to take many of the following measures anyway. “Too much noise, particularly coming from air dryers or vacuums, can be a major irritant to area homeowners by interrupting their quiet neighborhoods,” Levy notes. Blowers and vacuums are both essential to your carwash business, but they are also the biggest noise-makers. So, what can you do? According to Stephens, blowers often present new investors with their biggest battle in complying with zoning requirements. However, he says, there are drying systems available now that are engineered for sound control. Some are manufactured without any sound containment around them and will meet or exceed national or international sound requirements, he adds. McKenna also recommends using variable frequency drives (VFDs) with your blowers to help reduce noise, since they regulate the power going into the blower. With less power, there will be less motor drive, less air intake and, consequently, less noise. While Stephens says that you can also encase a drying system in its own room, he claims the most effective solution is simply to buy an engineered quiet drying system. As far as a central vacuum system is concerned, McKenna says that the best way to reduce vacuum noise is to seal off the vacuum room and put soundproofing inside the walls, like one would in a music studio. Once you’ve sealed off the vacuum room, the only noise you’ll hear from the vacuums while outside is the suction of air through the hoses, and even that is reduced when the hoses are in their holsters. Finally, McKenna and Stephens both agree that hydraulic power packs are another heavy noise-maker at a carwash. As such, McKenna recommends using electric motors instead — and as an added bonus, you won’t have to deal with using oil. 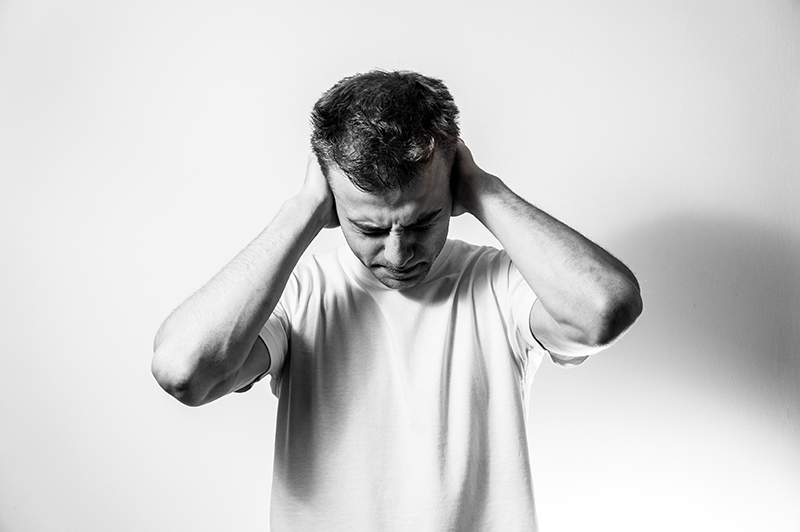 McKenna has firsthand experience dealing with noise complaints. Two of his carwashes have been cited with noise violations in the past, and one even got dragged into state court because of it. As a result, he had to do a sound test and comply with open- versus closed-window variables as well as summer versus winter variables. Having gone through the sound-testing rigmarole, McKenna enacted every out-of-the-box solution he could think of to make sure his carwashes passed their noise tests — and he eventually succeeded. For example, in addition to purchasing quiet dryer systems and isolating and soundproofing his vacuum motor, McKenna also coated his tunnel with a stucco-like wall shielding that is commonly used on highways and roller coaster tunnels. “You’ll be able to pick up three- or four- or five-decibel noise reductions by coating your walls around where the blower is, if not the whole tunnel. That’s a $30,000 to $50,000 investment, depending on how much you use,” he explains. Stephens adds that having doors operate between washes is another option for lessening noise. Sound absorption and sound refraction both involve using plants. According to Gilmer, all parts of a plant, from bark to leaves, will absorb sound. Therefore, planting rows of hedges or thin evergreen trees can help prevent sound from leaving your property. However, when choosing plants, make sure to choose something that will close gaps and grow close to the ground, since sound will escape through areas where the plants do not grow. One commonly used hedge is a boxwood. Sound refraction refers to how noise is dissipated when it strikes a rough plane, Gilmer notes. As carwash exteriors become sleeker with more modern designs, they may actually exacerbate noise. As such, coating walls or the ground in flora will help a carwash lot reduce the din. Sound deflection and reflection involves installing a wall around the property to reflect the sound back at the site or deflect it in different directions, Gilmer writes. The denser the material (such as masonry versus wood), the more sound will be reflected; the more flexible the material (such as fiberglass or corrugated metal), the more it will be deflected. You can combine greenery with a wall to help absorb, deflect and refract noise. The final option, Gilmer notes, involves a different strategy from the above three: creating a pleasant white noise to mask the undesirable clamor. For instance, water features that make loud splashes are a typical example of white noise, but plants — such as pine trees — that rustle loudly in the wind can also be used. A small water feature may prove practical for your waiting area, if you have one, to distract guests from any noise on the property. When looking to build a new carwash, site selection and design are critical for multiple reasons. Your design process should consider the area in which the lot is located and be optimized to best fit in with what already exists around it. Of course, this extends to traffic flow and curb appeal, but be sure to take noise into your site design considerations as well.